The brothers Xaver and Philipp Scharwenka are descended from a Prussian-Polish family. 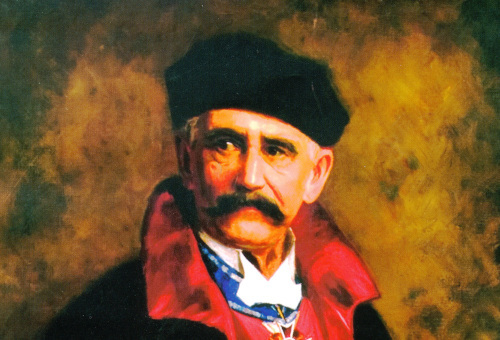 They worked as composers, soloists and educationalists of music in the 19th till 20th century. Their artistry is ascribed to the late Romanticism. Their conservatories in Berlin and New York were one of the most famous institutions. The museum that opened in 2014 is in Xaver Scharwenka’s “Musenhütte” (Scharwenka’s description for his home on the Scharmützelsee, where he found inspiration and relaxation). 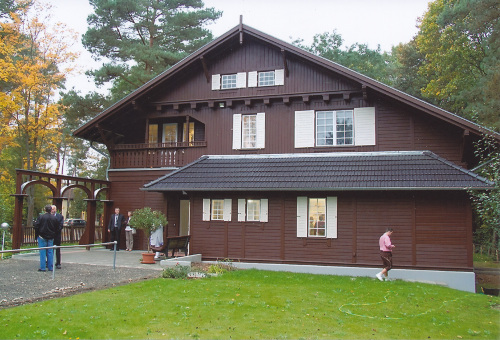 In 1910/1911 the musician had this house built like a villa in mountain style in Bad Saarow as a refuge of his artistic domain in Berlin. 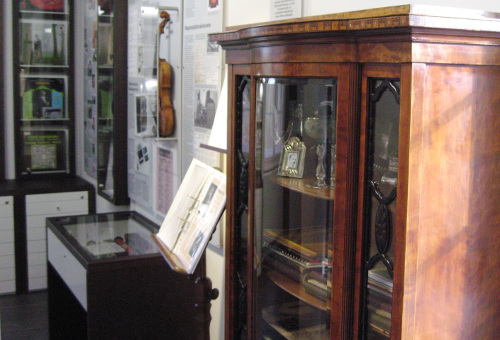 The museum shows examples of the both brothers’ varied work; their position in social life; their concerts; the connection with the family, other musicians and composers as well as the conscious use of the developing bourgeois domestic music and the beginning storage and playback of music. It also comprises the Scharwenka archive in which a stock of different materials were gathered since a lot of years and still are, such as photos, correspondences, sound carriers and autographs including notes mainly digitized. 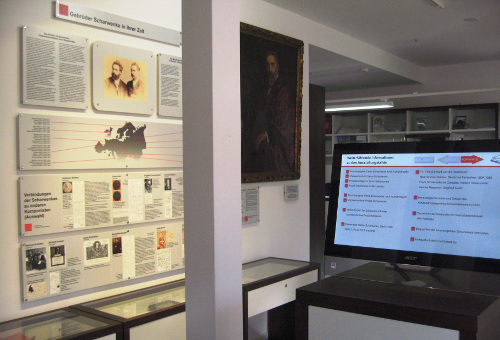 This includes the collection of various publications on the life, work, concerts and the heritage care. The Scharwenka Kulturforum also offers a broad programme of cultural events in which the music dominates for up to 70 guests and changing exhibitions. Concerts with the Welte-Mignon reproducing piano belong to this. The house provides an educational programme as adventure and discovery tours for young people.